JV400 Series | MIMAKI ENGINEERING CO., LTD.
Latex White Ink accentuates the true vividness of other colors and it is used as under/over-coating on transparent or colored materials. Very effective in the manufacture of window graphics etc. * JV400-130 / 160LX specifications are only applied. JV400 printer enables to print on PVC that is the critical material in the signage industry, and almost all eco-solvent ink media. 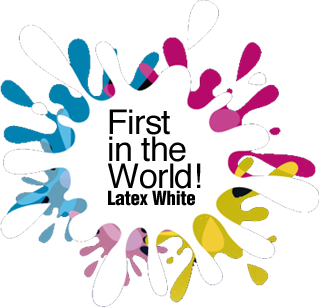 Furthermore, it enables to print on cloth of which materials are for poster, POP and streamer making. 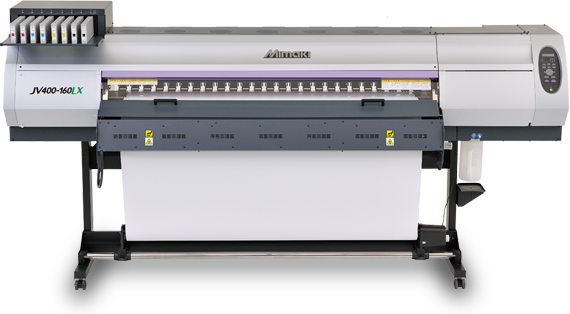 The JV400 series not only boosts a conventional business but also creates new business opportunities. Due to quick ink dry capability, printed media is immediately sent to the post-processing. Moreover, with 1.5 times faster than conventional products, working efficiency is increased. 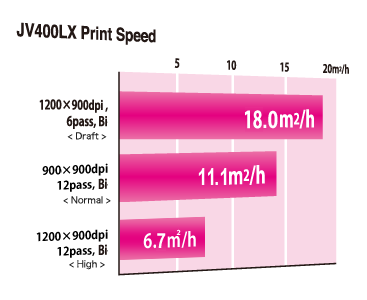 Depending on the media or output design, the ink drop sizes can be selected with a minimum of 4 pl. Mimaki's proprietary head control technology with Multidrop function providing three different drop sizes at once realizes an unrivaled high definition & high resolution print.